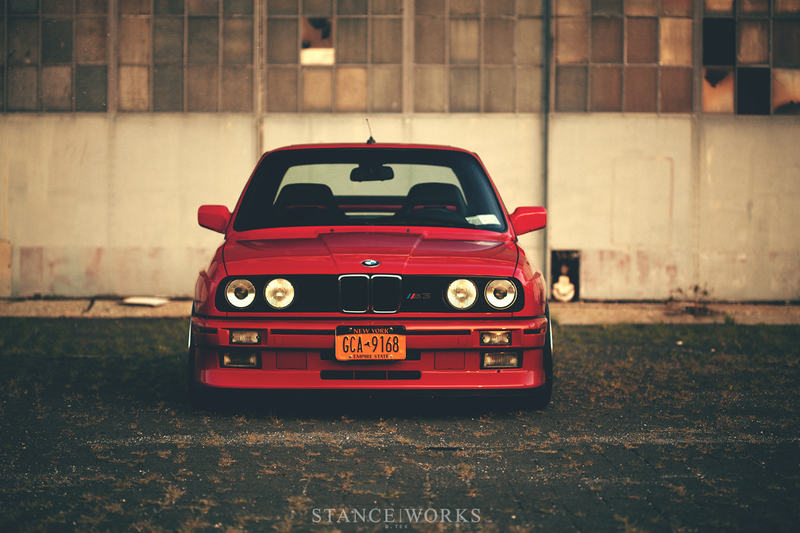 Day by day, E30 M3 prices rise. Just a few years ago, $10,000 was a fair price to ask for a well-sorted car, and now, it's not hard to find stripped shells selling for nearly the same. 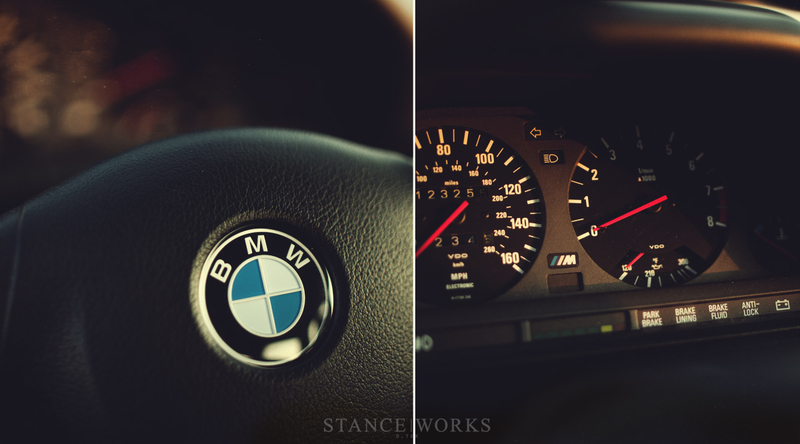 In all, the M3 is experiencing its birth as a true collector's car. BMW enthusiasts are now scrambling to find the last remaining cars that have avoided the "collector's tax." The rest of us, missing out on both luck and fortune, are left to sift through the herd, hoping to find a car that suits both our tastes and our wallets. Larry Pipitone, unfortunately, wasn't lucky enough to find a cheap barn car - instead, he too spent time hunting for the perfect car. 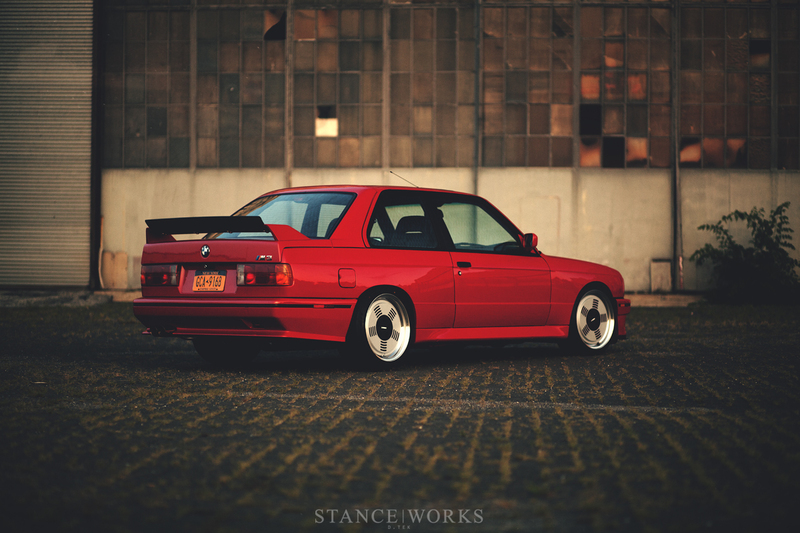 Ever since the age of 15, the E30 M3 has been an object of Larry's affection, but it wasn't until two years ago that he found himself able to follow his ambitions of owning one. Scouring the East Coast for the right combination of price and condition, Larry looked at quite a few cars. "I found a lot of junk out there. Cars with hidden rust, accident history, or even no history. The biggest letdown of all was an Alpine White-on-Cardinal car that had been exported to Portugal and back again. It would have been the car, except all of its VIN tags were scratched off." In the end, it was a car from the DC area that Larry finally took home. After spotting the car on eBay, he contacted the seller, and was met with a somewhat frustrating proposition. “This is the second time I’ve listed the car. The last buyer was from California. His check bounced. Let this auction run through, and If the car doesn’t sell, I won’t be re-listing it. It’ll be here if you want it.” While it was still an option to bid on the car, Larry didn't want to risk driving the price up higher than necessary. Instead, he endured, exercising his patience to see where the auction may end up. Luckily, the car didn't meet its reserve. Larry drove down from NY to DC, and upon arrival, was met with a flawless example. Parked in the garage next to a BMW Z8 and a BMW motorcycle project, Larry knew immediately that he had found the car he had longed for. Larry's past builds have been slightly different in nature, his past passions stemming from the GM F-Body world. His first was a non-running '88 Trans AM GTA that he restored and supercharged, before selling. During that build, he also dalied a '95 Trans Am with suspension and bolt ons. Larry admits "I foolishly drove that car in cold weather with drag radials and slid it into a box truck." After that, Larry bought himself a 2000 Camaro SS, which he still owns today, complete with a full bolt-on LS1 under the hood, and lots of suspension work for handling. 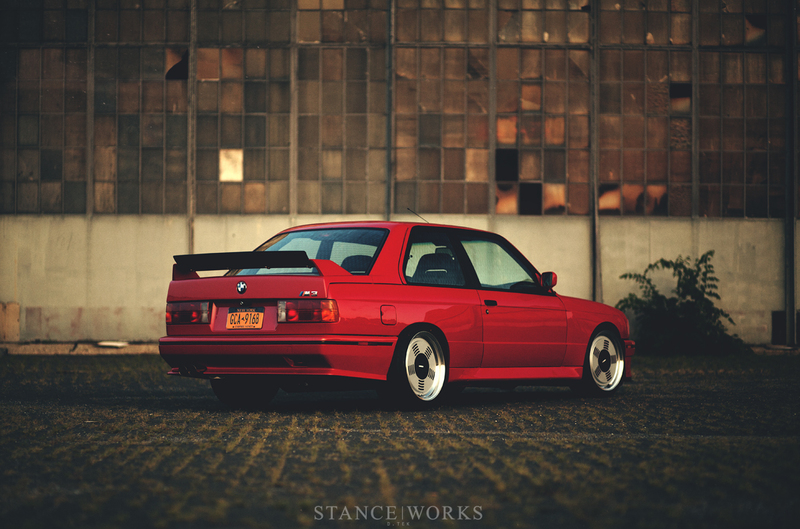 However, as a man of varying tastes, in the garage also sits a 2002 BMW M Coupe. 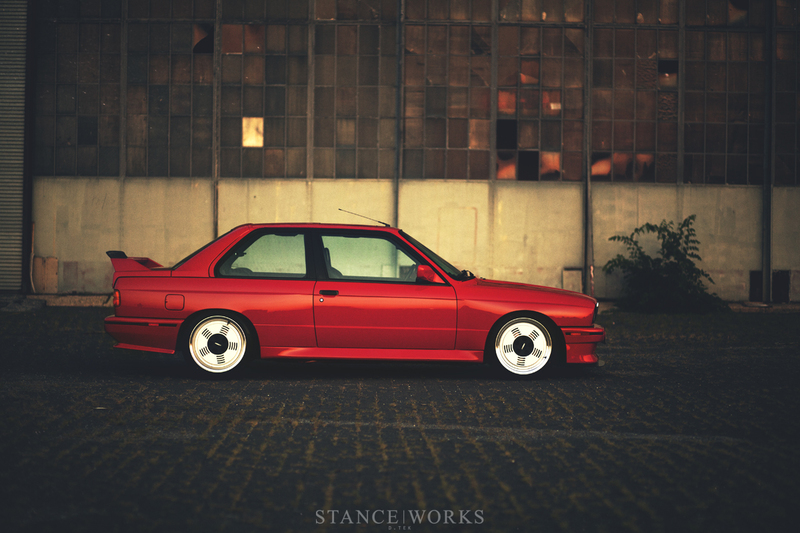 After getting the M3 home, it wasn't long before it too received a purist-approved round of modifications. For the exterior of the car, Larry kept things traditional. A genuine BMW Sport Evo 3 under tray and rear spoiler were fitted, including the adjustable carbon gurney flap and splitter. A Sport Evo bumper gasket, euro tow hook covers, grilles, and clear lenses all tidied up the front end, which could appear otherwise stock to the unknowing. Inside, the Sport Evo theme continues with a tribute interior, including SRD front seats. 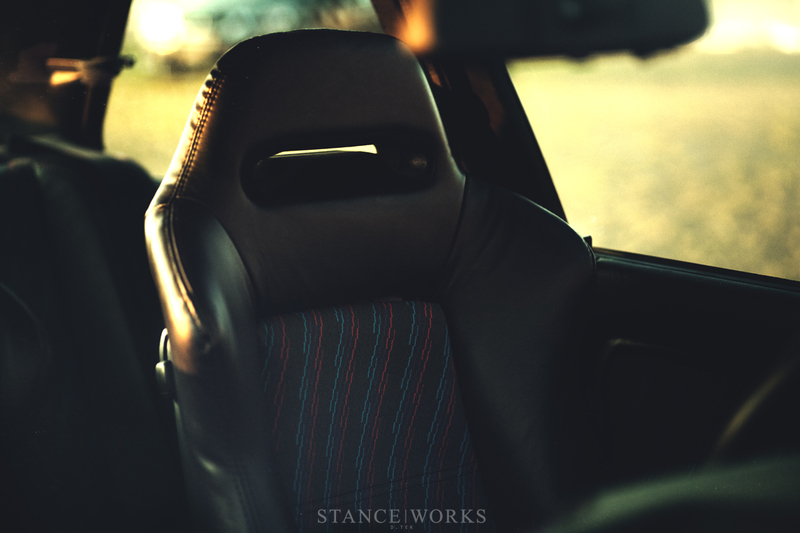 Leather bolsters and MTech fabric centers for the fronts and rears make for phenomenal continuity between aftermarket and OEM, and lastly, an Mtech II 370mm steering wheel and shift knob complete things with the perfect sense of subtlety. 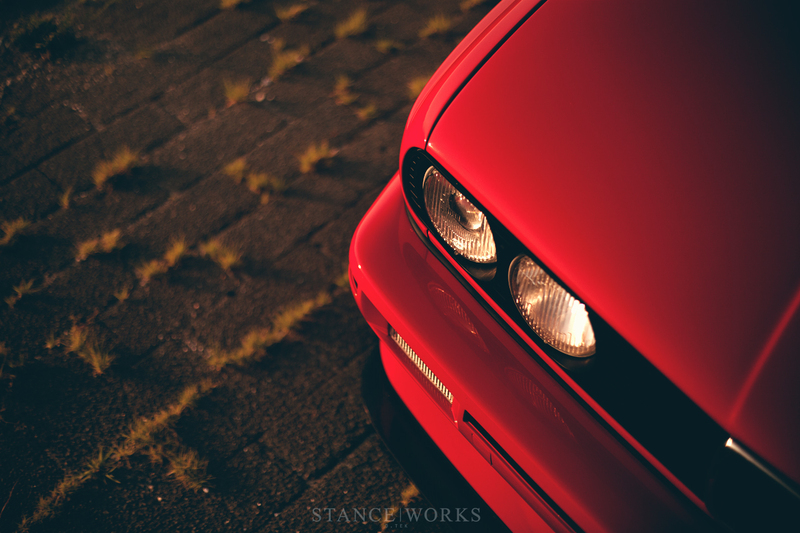 The M3's iconic S14 engine is renowned for more reason than one: aside from its truly impressive power and engineering, it's also known for being an absolute wallet killer for both maintenance and modifications. Keeping things simple, Larry chose not to crack the 4-cylinder lump open. A Sport Evo intake, turner chip, Susper Sprint catless midsection and Rogue Diablo Exhaust are all that was needed to liven up the high-strung motor. For handling, a set of AST4100 coilovers paired with Vorshlag camber plates keep the car firmly planted, and Falken RT615ks in appropriate M3 sizing - 215 and 235, plenty for such a light, nimble car - allow Larry to push the car each and every weekend. That of course, brings us to the car's "pièce de résistance," as well as Larry's own pride and joy: the Livery Procar wheels. Last year, Larry and his business partner, Asim Prses, set out to start their own wheel company: Livery Wheel. 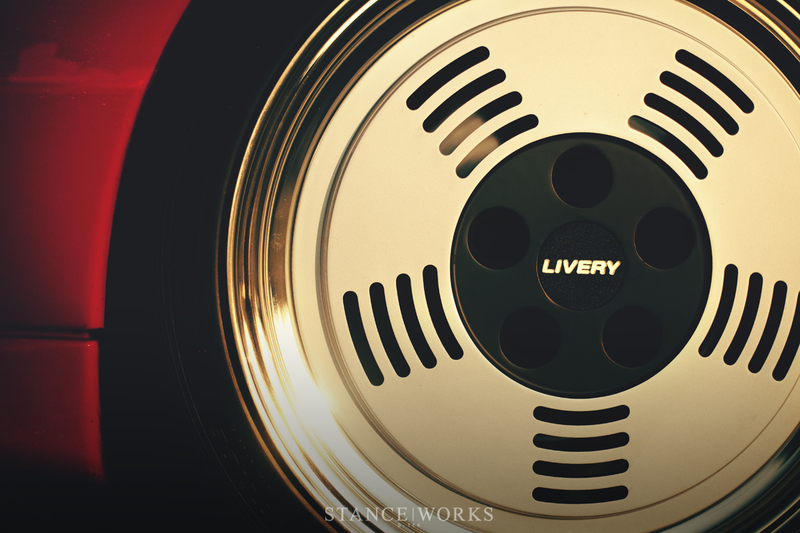 Since its inception, Livery has set out with their own take on the wheel market, pulling inspiration from iconic wheels from many of the greatest eras of motorsports. 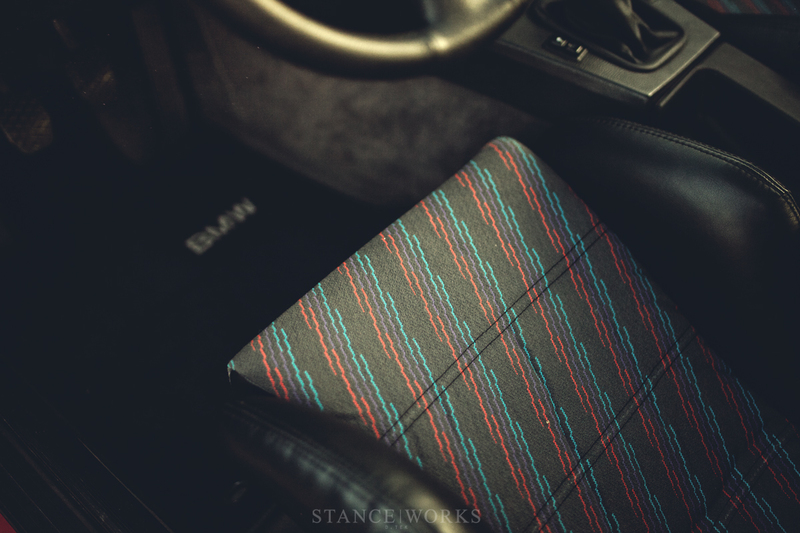 The latest addition to their line pulls inspiration from the short-lived BMW M1 Procar Championship. Run for two years, primarily as a support series for Formula one. Procar pitted F1's top drivers against each other in both factory-prepared and privatized M1 race cars. In its inaugural year, the series was won by the famous Niki Lauda, and in its second and final year, Nelson Piquet took the championship. After closing the series to focus on Formula One, the M1 Procar and M1 Group 5 project were canned, leaving some of motorsport's coolest cars to the history books. How does this relate to Livery's design? 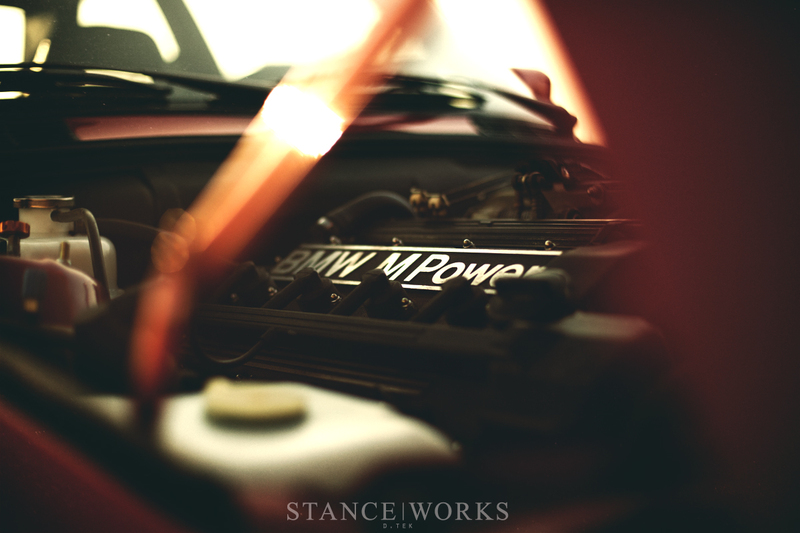 A quick look at the M1's factory wheels make the relation quite obvious. 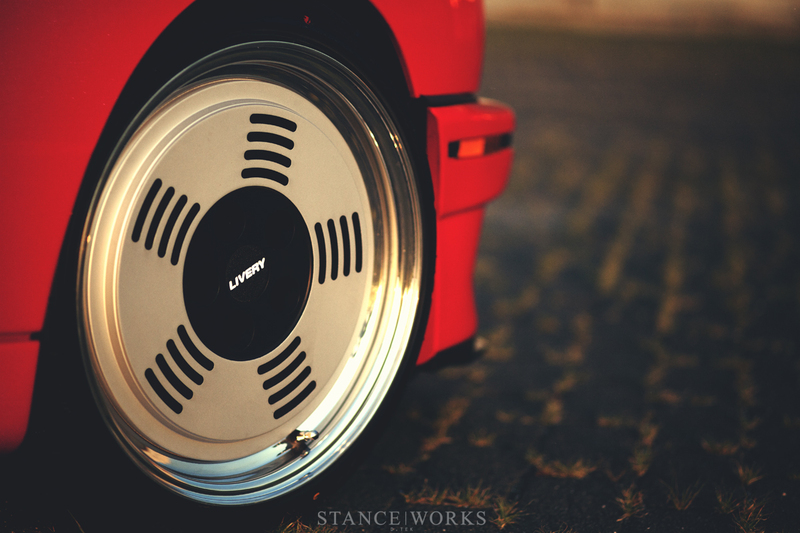 "The Procar wheel came from our desire to pay tribute to the BMW M1," says Larry. The M1 road car was equipped with M1-specific one piece Campagnolo wheels, featuring a very unique slotted 5-spoke design. Larry lays it out: "The Procar is BMW’s racing version of the M1, and we felt that a modernized, forged 3-piece version of the road car’s wheel could live up to the Procar moniker." 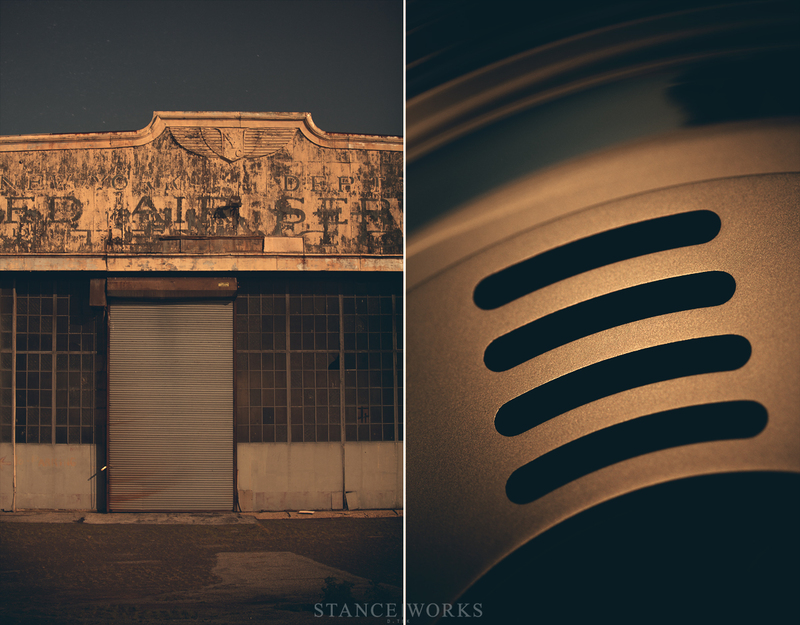 Bringing the vintage one-piece wheel into the modern 3-piece world presented its own challenges. Larry explains that the most difficult of them all was maintaining the proportions and balance of the original wheel when scaled up to a larger size. The original wheel's subtleties, such as the over-sized lug holes, the recessed lug pocket, and the raised face were all taken into consideration. To update the aesthetic, Larry and Asim looked to hidden hardware, flat centercaps, and modular sizing. Perhaps coolest of all is what we don't see - the back side of the wheel. "It's really complex. There’s a split-5 spoke, swissed bolt flange, and pocketed hub back there to keep the weight down. It’s the most complex wheel we’ve made." 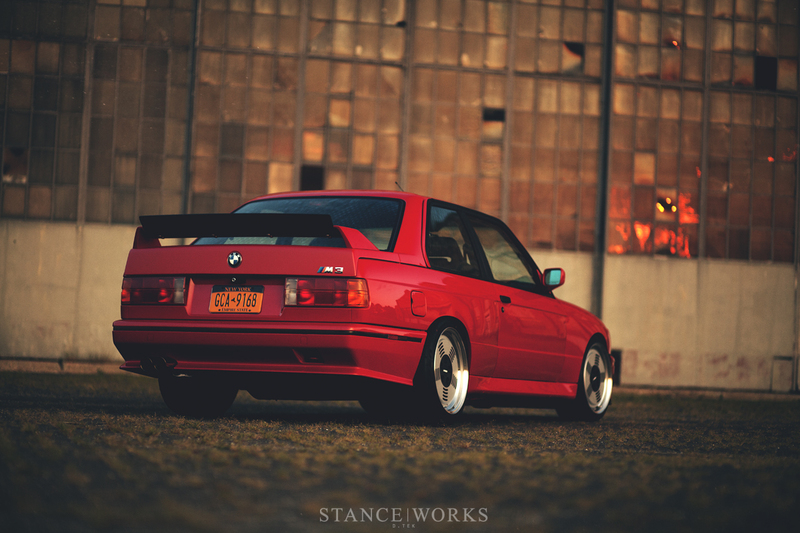 While BMW never intended for the Campagnolo design to grace the M3, it couldn't look more at home. 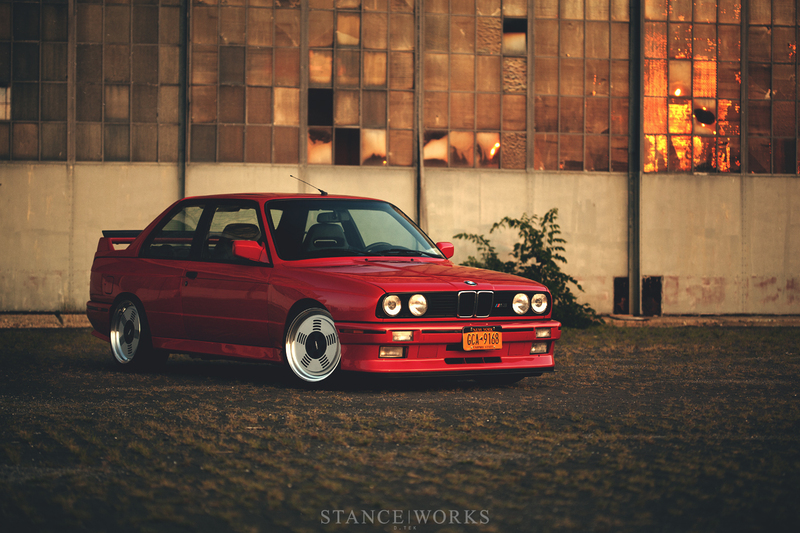 The styling blends aftermarket with OEM for a relationship that creates one truly gorgeous E30 M3. With his latest project realized, there's no telling what is next to come from Larry and Livery Wheel. Saw this car at Bimmerfest East, and rolled with it on I-95 for a bit. Looks stunning in person and these wheels give it a presence, even when it’s rolling. Wow. 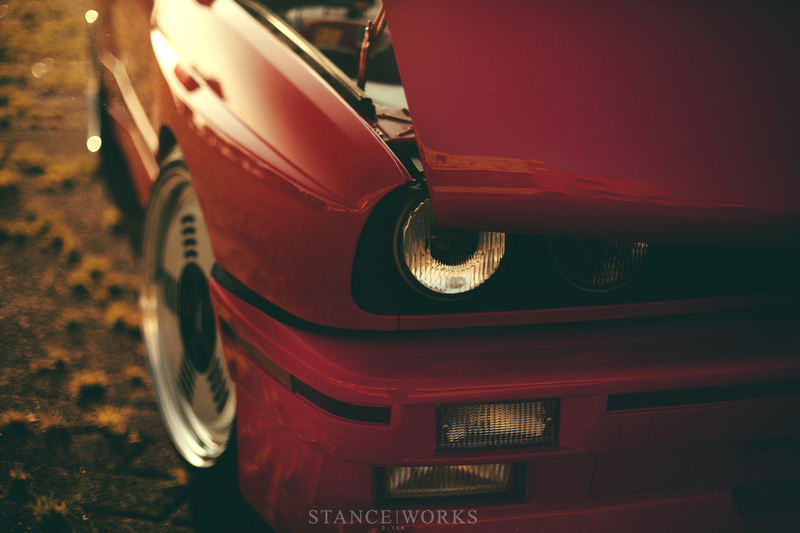 how much for a set of 17″s for an e28 535i! p.s. shipping to New Zealand?! 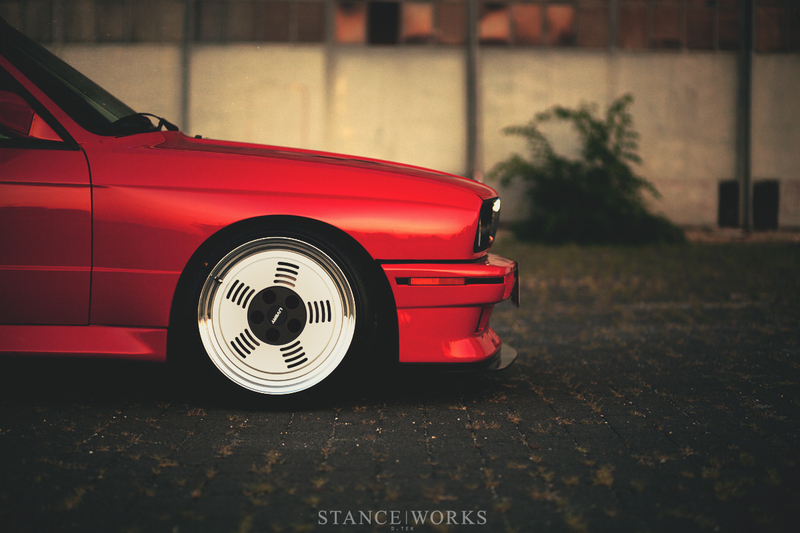 I can’t disagree more on the wheels. Turbo fans on an M3 make me cringe and while I have followed his thread for a while now and know the dedication he took in creating them(as well as care given to every mod he makes). The previous wheels he had look much better IMO but this is his ride not mine.